A.H. Boyd (1827-1891) was a Hobart-born accountant appointed to government service in 1848. He was sacked from the position of Superintendent at the Orphan School, New Town, VDL in 1856 for misogyny after repeated complaints from employees and the public alike. He served at the Port Arthur prison as Civil Commandant from May 1871 until his forced resignation in December 1873 under allegations of corruption and nepotism directed at his brother-in-law Attorney-General W.R. Giblin in Parliament (Walch’s Tasmanian Almanac 1873; Australian Dictionary of Biography online; The Mercury, July 1873 ). He married Giblin’s sister Henrietta in 1871. 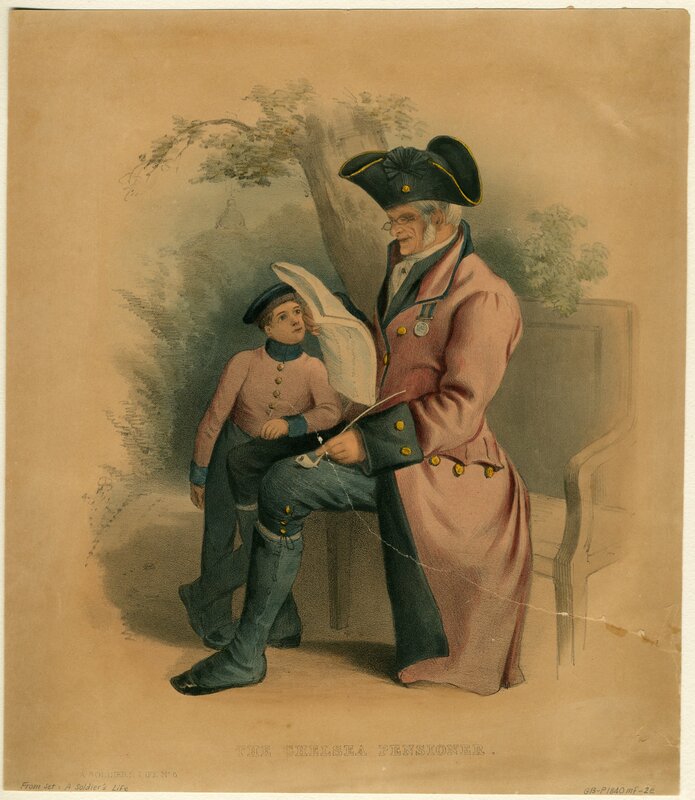 His subsequent appointments were in the administration of welfare depots. He was acting as coroner at Franklin, 28 miles south of Hobart shortly before his death (Walch’s Tasmanian Almanac 1889, p.319). His obituary, published in The Mercury 24 November 1891, made no mention of photography because A.H. Boyd was NOT a photographer: he has never been documented in newspapers or validated in any other publicly available contemporary document as either an amateur or official photographer. He was certainly NOT the photographer of Tasmanian prisoners between 1872-1886, the years when commercial photographer, government contractor and civil servant Thomas J. Nevin, with his brother Constable John Nevin, were employed by the Municipal Police Office, Hobart City Corporation, and Prisons Department in Hobart to photograph offenders on arrest, at trial, arraignment and discharge. However, for the duration of his public service, especially from the mid 1860s to the 1880s, the Mercury published dozens of articles and readers’ letters protesting at A. H. Boyd’s bullying treatment of employees: his treatment of surveyor Piguenit was brutal and reported at length in 1873. Boyd’s promotion above others who were far more deserving such as Hobart Gaol Keeper Ringrose Atkins was due entirely to the favours extended to him by his brother-in-law (and Thomas Nevin’s family solicitor) Attorney-General W.R. Giblin. This absurd misattribution to non-photographer and Port Arthur official A.H. Boyd of Thomas J. Nevin’s police mugshots of Tasmanian prisoners 1870s-1880s lies in part with a reference to the art historian Margaret Glover’s article “Some Port Arthur Experiments” (1979) by Chris Long and Warwick Reeder (1995). In 1979, Margaret Glover published an article about Port Arthur titled Some Port Arthur Experiments (In: T.H.R.A. 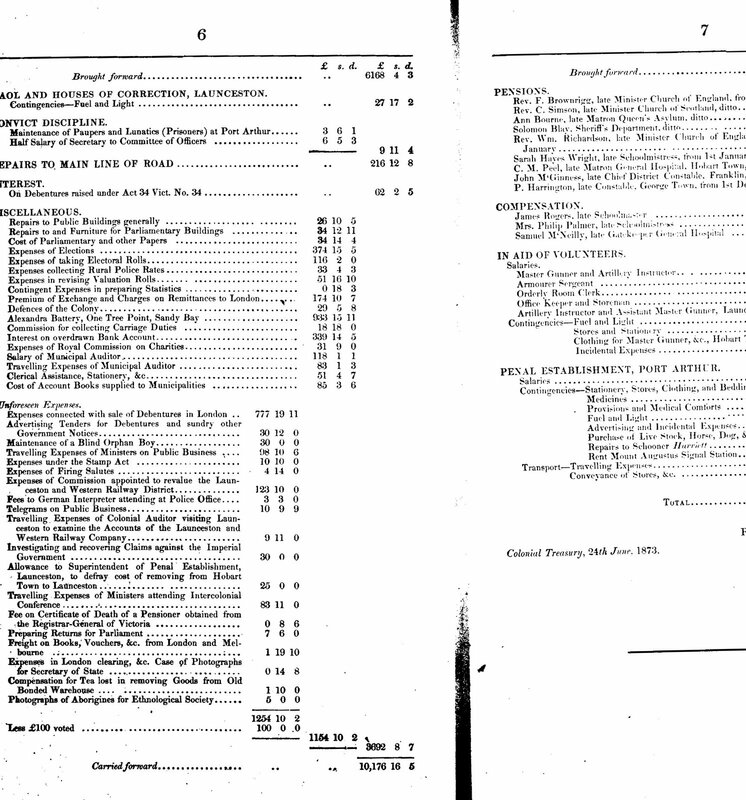 Papers and Proceedings, vol. 26 no. 4, Dec. 1979, pp. 132-143). The article deals with plants and animals and steam engines and the tenure of Commandant James Boyd (during the years 1853-1871). No mention is made of his successor Commandant A.H. Boyd, no mention is made of prison photography, and no mention is made in this article of A.H. Boyd’s niece E.M. Hall, nor to her children’s story, “The Young Explorer” (1931/1942). Yet this same article by Glover and this same children’s story by E.M. Hall have been cited by Chris Long from the late 1980s as evidence that A.H. Boyd not only had his own photographic studio but photographed prisoners at Port Arthur in 1873 or was it 1874?- those who believe this “belief” cannot quite settle on the date because it did not happen. The unpublished children’s “tale” in typescript form was written by Edith Mary Hall nee Giblin, a daughter of Attorney-General W.R. Giblin and niece of A.H. Boyd. It is generically a fictional children’s story, but more than a few gullible minds believe it purports to be an account of Edith Mary’s childhood visits to Port Arthur. 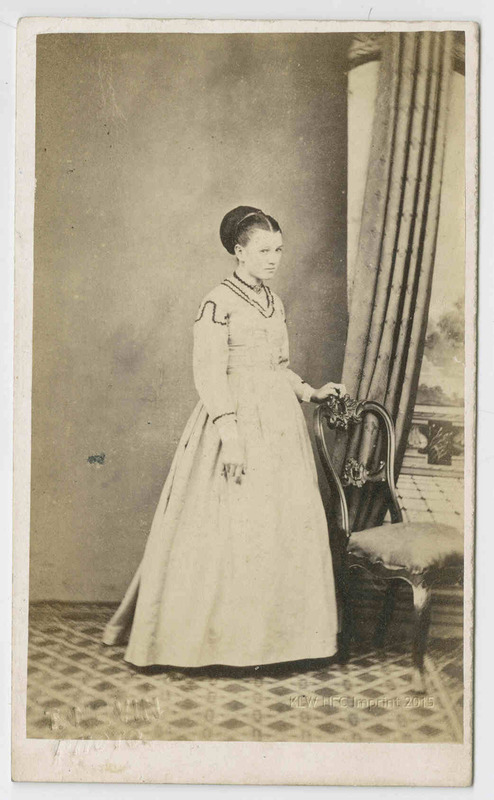 Born in 1868, Edith Mary Hall nee Giblin, would have been no more than five years old when her uncle A.H. Boyd vacated the position of Commandant at Port Arthur in December 1873 (Walch’s Tasmanian Almanac 1873; ABD online). The root of the notion that A.H. Boyd had any relationship with photography arose from this children’s story forwarded to the Crowther Collection at the State Library of Tasmania in 1942 by its author, Edith Hall. It exists only as an unpublished, typed story, called “The Young Explorer.” Edith Hall claimed in an accompanying letter, dated 1942 and addressed to Dr Crowther that a man she calls the “Chief” in the story was her uncle A.H. Boyd, and that he was “always on the lookout for sitters“. Hopeful Chief! The imaginative Edith and her description of a room where the child protagonist was photographed (and rewarded for it) hardly accords with a set-up for police photography. 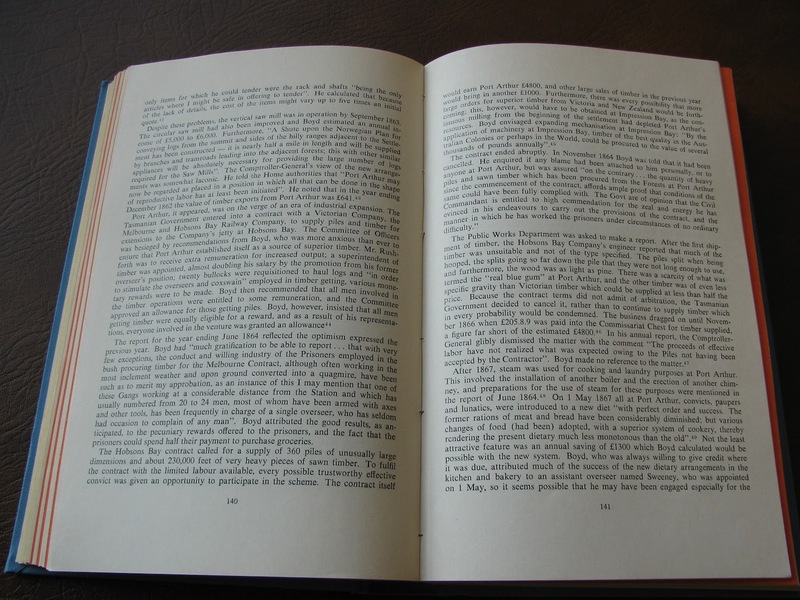 The photographing of prisoners IS NOT mentioned in either the story or the letter by Edith Hall. 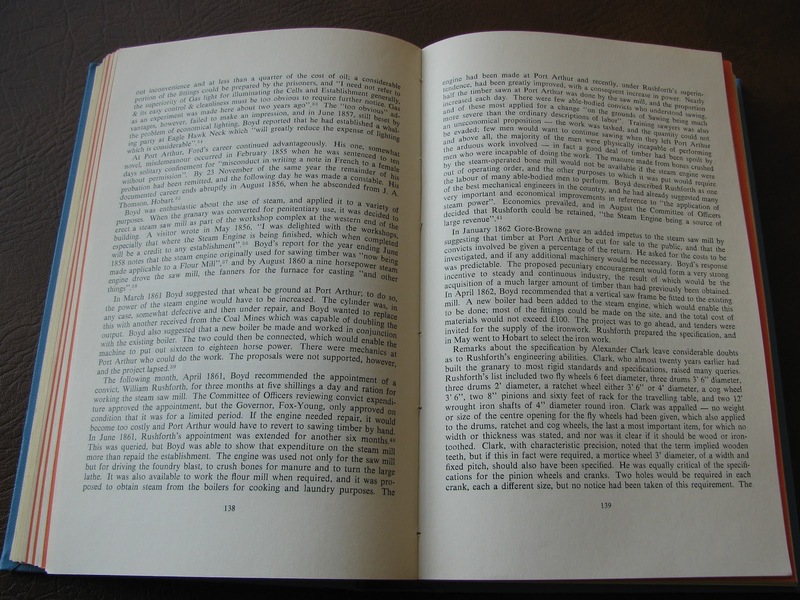 In the context of the whole story, only three pages in length, the reference to photography is just another in a long list of imaginative fictions (many about clothes and servants) intended to give the child reader a “taste” of old Port Arthur, when both the author and her readers by 1942 were at a considerable remove in time. Boyd is not mentioned by name in the story, yet Reeder 1995 (after Long, 1995) and Clark (2010) actually cite this piece of children’s fiction as if it contains documentary statements of factual information. A.H. Boyd has never been documented in newspapers or validated in any government record of the day as either an amateur or official photographer. The tale has been misinterpreted as the witness account of a five year old when the fact of the matter is that it was written by a 62 year old woman in 1930 (? 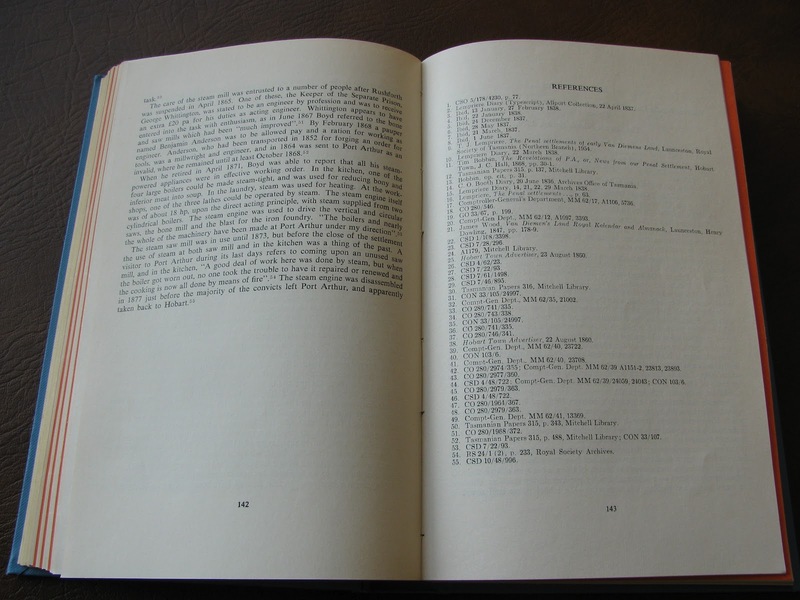 ), submitted to the Crowther Collection (State Library) in 1942, and probably transcribed in typescript (again) at an even later date. It is a composite of general details that concord more with the imagery in the postcards sold by Albert Sergeant in the late 1880s, and Port Arthur as the premium tourist destination of the 1920s, than with the site during its operation in 1873. In short, it is children’s story, a FICTION. For reasons best known to photohistorian Chris Long and his editor Gillian Winter in the publication Tasmanian Photographers 1840-1940: A Directory (1995, Tasmanian Museum and Art Gallery), their supposed perusal of a document (Tasmanian Papers 320, SLNSW ) showing that a cargo of 288 photographic plates was intended for delivery to government stores at Port Arthur in July 1873, suggested to them that this same Commandant at Port Arthur, A. H. Boyd, had personally taken photographs of the prisoners there, the same photographs now extant in public collections at the NLA, the TMAG, and the QVMAG etc, which have a published and curatorial attribution to Thomas J. Nevin (1977, 1978, 1984, 1992, 1995, 2000, 2009, 2010, 2015). Nevin’s contractual stamp bearing the government’s Royal Arms insignia on several cartes-de-visite in public collections was sighted and validated by Chris Long, despite his idle suggestions about Boyd. Illogical as it now seems, this implausible idea and impossible scenario about Boyd, or” belief” as Long phrases it (p. 36, TMAG 1995), had a certain appeal for photohistorians in the late 20th century who wished to mobilise the Foucauldian tropes of surveillance by the powerful of the powerless within postmodernist discourse (Reeder 1995, Ennis 2000, Crombie 2004). 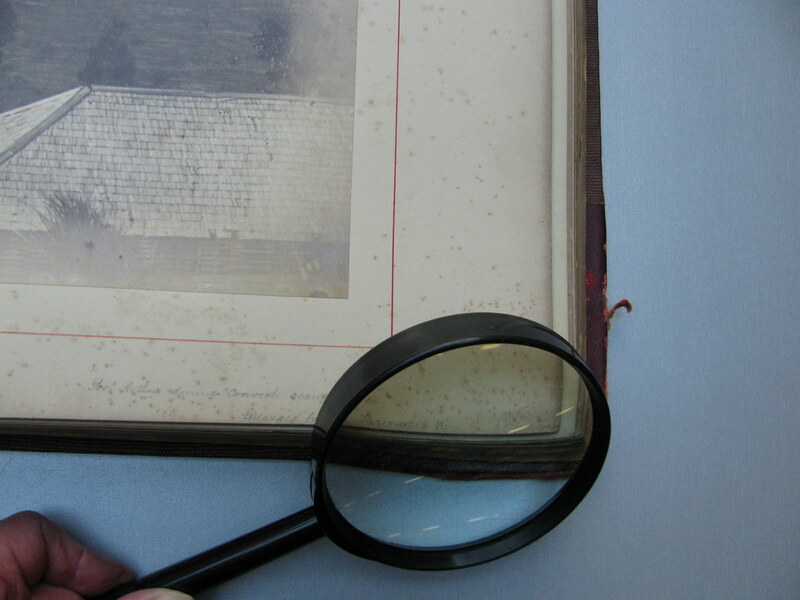 There was one problem for Chris Long et al, namely the discrepancy between 1873 when the plates supposedly arrived at Port Arthur and the date of “1874” which appears in the handwritten transcription “Taken at Port Arthur, 1874” across the verso of several of these prisoners’ images. No discussion ensued that countenanced an error concerning the date 1874, made perhaps much later by commercial photographers Beattie or Searle reprinting these mugshots in the 1900s for tourists and travelling exhibitions (in conjunction with the fake convict ship, Success, for example), or by the archivists Ms Wayn and Peter Eldershaw at the AOT 1920s, by the curators of an exhibition of Beattie’s convictaria held in Lainceston in 1934, or by even later museum and library workers. The Harriet‘s way bill, 30th July 1873. To account for the discrepancy between July 1873, the date of the schooner Harriet‘s way bill listing of 288 photographic glasses, and 1874, Chris Long et al decided that the plates were used by Boyd personally, and that they were printed in 1874 by Nevin, at least six months later. An unscientific supposition about wet and dry collodion processes was used as collateral. The “room” mentioned in E.M. Hall’s children’s story became a “permanent darkroom” in Chris Long’s imagination (p36) to compensate for his insistence that the wet-plate process was used to take the prisoners’ photographs, and therefore there had to be a darkroom at Port Arthur despite a total lack of evidence pointing to its existence. Blind-sided by this idea, Long could not then countenance the very ordinary fact of a commercial photographer working in the city’s Supreme Court and adjoining Hobart Gaol, with fully operational dark rooms and studio in the next street, viz. Nevin’s studio in Elizabeth St, two minutes from the Gaol. This failure of commonsense and fallacy of judgment is the real mystery surrounding these Tasmanian prisoner vignettes, not WHO photographed them, but WHY did Chris Long entertain such a stupid idea. No cross-referencing was made to the police records of individual convicts, no research was conducted on Nevin’s professional contracts apart from a few details derived from Kerr (ed, 1992), no commercial photographer other than Nevin was considered, and no evidence given that could validate the proposition of Boyd ever having held a camera, let alone the skills and equipment required to use the plates. The insistence that the prisoners were photographed at Port Arthur by Boyd was grounded in Long’s belief that the wet plates needed to be processed in situ; yet Nevin’s partner Samuel Clifford was well-known for his dry-plate expertise in the 1860s and so was Nevin. In any event, any photograph taken at Port Arthur by these two photographers, whether of landscapes, buildings, prisoners and prison officials, was developed and printed within their own extensively equipped Hobart-based commercial studios. The impracticality of photographing prisoners en masse at Port Arthur after July 1873, the date when the plates supposedly arrived, would have been obvious to the photographers because the prisoners were already being transferred to the Hobart Gaol, a process begun by 1871. Sixty prisoners had already been returned to Hobart when Attorney-General Giblin tabled his report in May 1873. Another obvious question which Chris Long and his editor never countenanced was this: what happened to the police photographs taken in , say 1871, 1872, 1875, or 1876, or the other 2500 negatives of prisoners taken by Nevin during his service as police photographer. 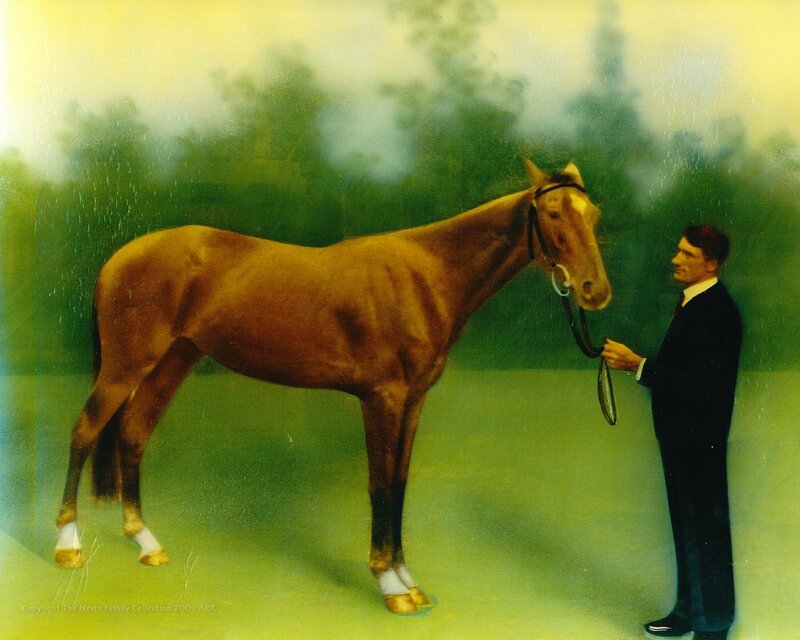 The 250 extant photographs they wish to bless with an aethete’s gaze and touch are in fact randomly salvaged estrays from that much larger corpus commissioned by the Tasmanian Police and Prisons Department from Nevin’s first commission in 1871 and contract in January 1872 to his last ca. 1886. In all likelihood, John Watt Beattie salvaged them from the old photographer’s room at the Hobart Gaol when it was demolished and replaced in 1915, and he saved only those vignettes and glass plates of men who had Supreme Court sentences, their notoriety a selling point for his trade in convictaria at his shop and museum in Hobart, called cunningly, the “Port Arthur Museum”. To then claim that the vignettes he had salvaged were true “Types of Port Arthur Convicts”, to write on the versos that their photographs were taken at the notorious Port Arthur prison, and in 1874 as well, the year Marcus Clarke’s bestseller For The Term of His Natural Life was published, all smacks of puffery for the tourists – and the facts be damned to oblivion! Verso of convict carte (inserted) at the NLA. A. H. Boyd had no reputation in his own lifetime as a photographer, none subsequently, and no works by him are extant, yet he suddenly entered photo history as an “artist” in 1995 due largely to a sentence in a children’s fictional tale, and a cargo list. 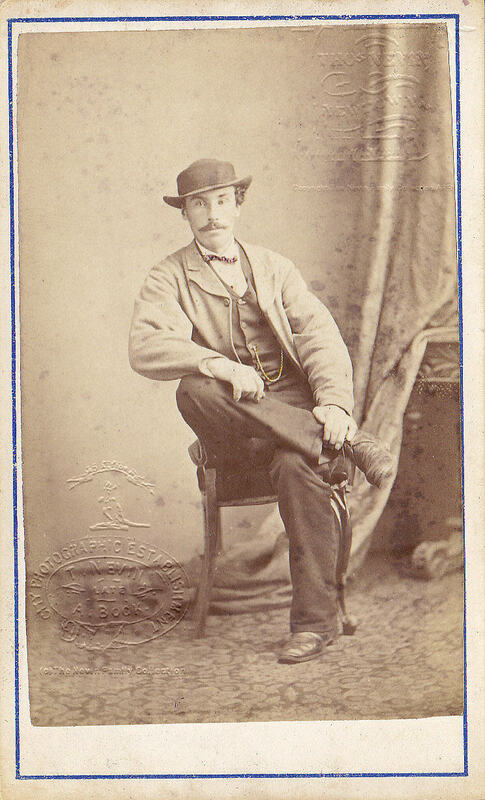 Thomas J. Nevin, well-known within his lifetime as a contractual commercial photographer, civil servant, and special constable with the Municipal and Territorial Police, and with a sizeable legacy dating from the 1860s held in State, National and private collections, was effectively dismissed as a “copyist” by Chris Long. Authoritative commentators who were aware of the problem ensured Chris Long was named as someone in error on this matter when Thomas Nevin’s biographical details were published in 1992 ( Willis, Kerr, Stilwell, Neville, etc). Chris Long’s “belief” in Boyd was a very curious manipulation of facts, a vague and sudden attribution to a person by the name of Boyd, a name belonging to one of Australia’s great “artistic” dynasties. Were Chris Long et al so blind-sided by their art history training that anyone by the name of Boyd just had to be an artist? 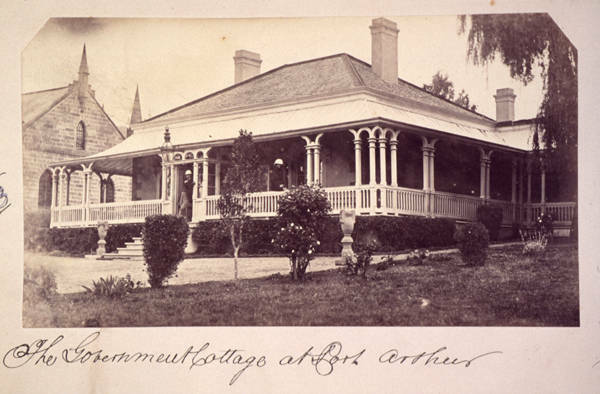 Even more strange is the fact that the State Library of Tasmania’s considerable holdings of photographs dated between 1871 and 1873 were taken by Samuel Clifford around Port Arthur: the buildings, the visitors, the officials etc etc, yet Clifford’s name never entered the mix. Even these photographs of Port Arthur mounted with Clifford’s stamp cannot be accurately dated, since Clifford advertised in The Mercury, January 17th, 1876, that he had acquired the interest in Nevin’s commercial negatives and would reprint them for Nevin’s patrons on request because Nevin’s appointment to full-time civil service precluded income derived from his commercial photography while he worked exclusively as the HCC’s photographer of prisoners, etc. 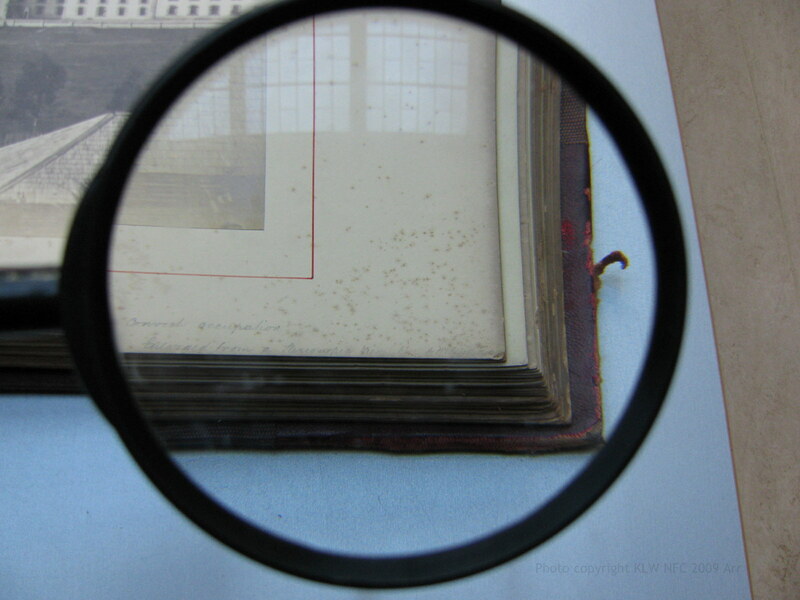 If a cargo of glass plates arrived at Port Arthur in July 1873, they may have been used by Clifford, Nevin’s mentor and senior partner during his stereograph phase from the late 1860s, to mid 1870s, yet this easily accessible information and obvious use was not cited by Chris Long et al. 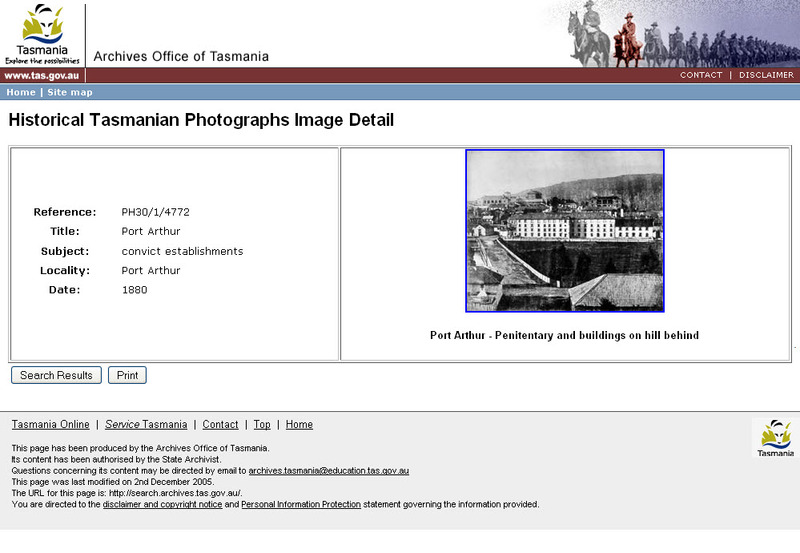 The information made available by Tasmania’s specialist in photo history at the State Library of Tasmania, G.T. Stilwell, was also ignored. 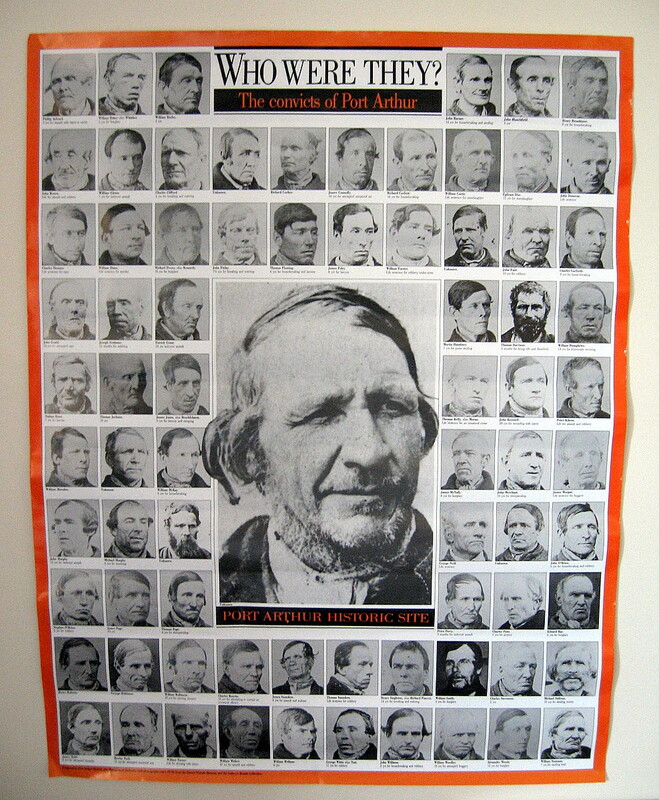 Less than a year after the first exhibition of Nevin’s convicts photos at the QVMAG in 1977, Stilwell had located government tenders for Nevin’s prison commission, among others from the Hobart Municipal Council for Alfred Winter’s commission to photograph the city’s buildings, and Henry Hall’s Baily commission to photograph notable citizens. On June 23rd, 1873 the Colonial Treasurer paid 14/8 shillings for “Expenses in London clearing, &c. Case of Photographs for Secretary of State …“. 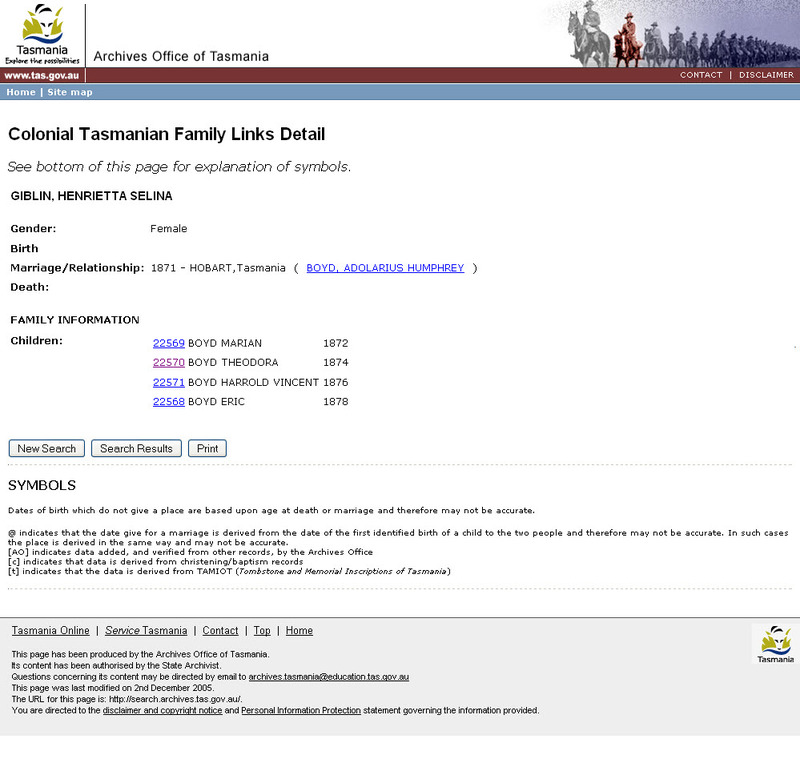 This was the additional expense for sending the “Photographs of Aborigines for Ethnological Society … 5.0.0 ” i.e. five pounds to London. The photographs of Aborigines were reproductions for the Ethnological Society (London) of those taken by (Bishop) Francis Russell Nixon in the 1850s and Charles A. Woolley ca. 1866. Bishop Nixon was a permanent resident in London by 1865, never to return to Tasmania. 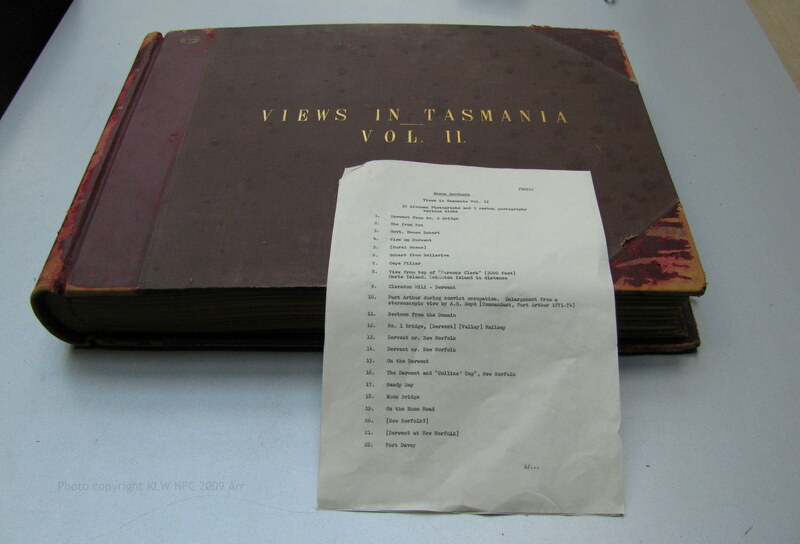 The case of photographs cleared in London for the British Secretary of State were not photographs of Tasmanian prisoners; in addition to the photographs of Aborigines there were photographs – reprinted – taken at the request of Queen Victoria of Tasmanian children, of local architecture, and of landscapes following the visit of her son the Duke of Edinburgh in 1868. These too were intended for the London International Exhibition, 1873. 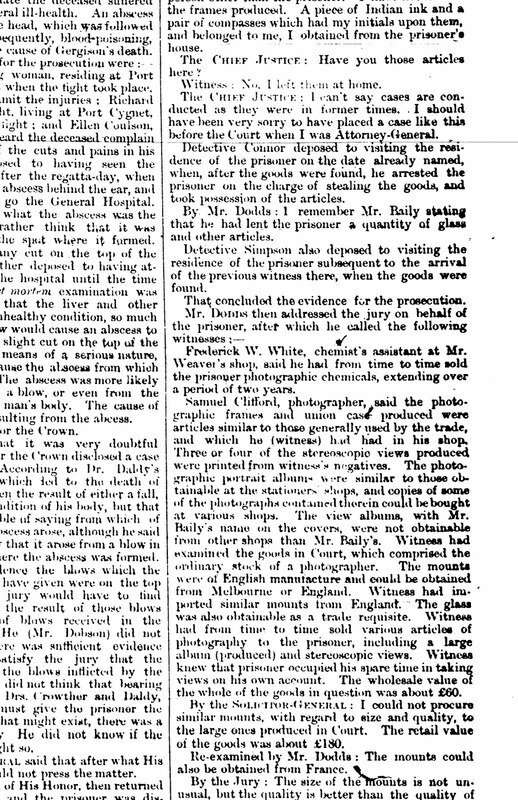 If a cargo of 288 photographic glasses actually arrived in government stores at Port Arthur in July 1873 and were used to photograph the prisoners there for official prison records, as Chris Long et al wanted to believe, and had therefore been bought by the government, who supplied and paid for them? Not the Colonial Treasury. 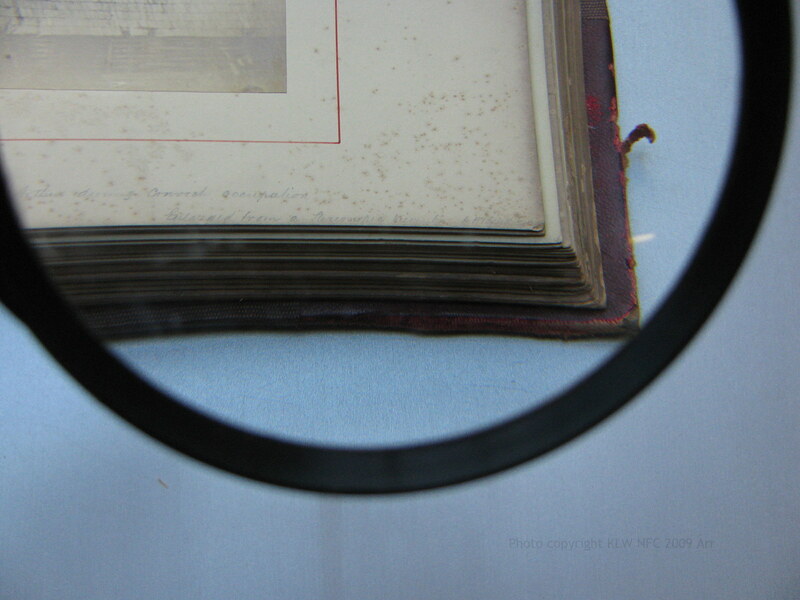 The case of photographs (used plates or prints) for the British Secretary of State were cleared in June 1873. They were arriving in London, not departing. The date of 288 plates listed as cargo for Port Arthur was on 30th July 1873, less than a month after the Colonial Treasury’s tabling of the government’s photographic expenses. Those glass plates could not have been the same case of photographs cleared in London for exhibition in London. A year and a half later, in 1876, the Colonial Secretary ordered all documents pertaining to the Commissariat’s stores be destroyed (AOT), a measure to cover up corruption which underscored the waste of government funds. Samuel Clifford’s photographs of the Port Arthur site, its officials and surrounds between 1871 and 1873 were commercially produced cartes and stereographs bearing his impress on the mount (SLTas), including the series depicting Governor Du Cane and his vice-regal guests. However, no association with the extant prisoner ID photographs and Clifford’s name can be made, apart from Clifford’s partnership with Thomas Nevin in the late 1860s to the late 1870s of stereographs and studio portraits of private patrons (The Mercury 1876; QVMAG; TMAG; Private Collections). Why had Customs in Hobart seized this particular cargo of photographic glass from London? 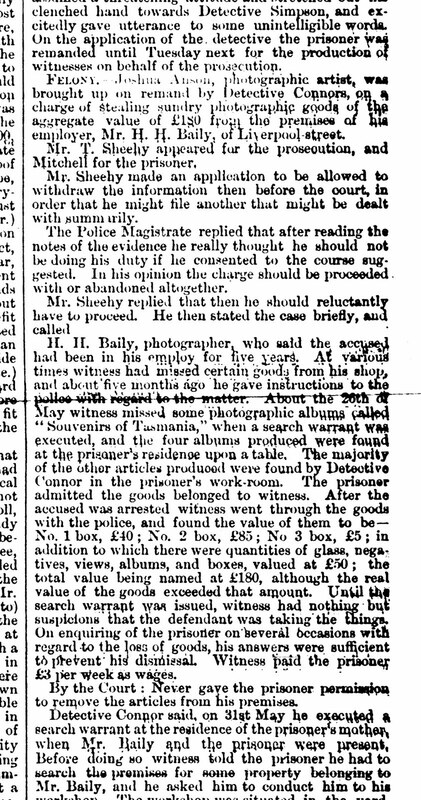 The Mercury’s account of the trial and conviction of Baily’s apprentice, Joshua Anson, in June and July 1877 for theft and serious fraud, provides the account. Joshua Anson, still in his teens in 1872-74, ordered expensive cameras, lenses, glass plates, albums, mounts from Melbourne and Paris, and sundries from London through the firms of Websters, Weavers the chemists, and Walch’s Stationers, Hobart on Baily’s account and without Baily’s knowledge. He kept the loot at his mother’s home where it was discovered by Detective Connor. 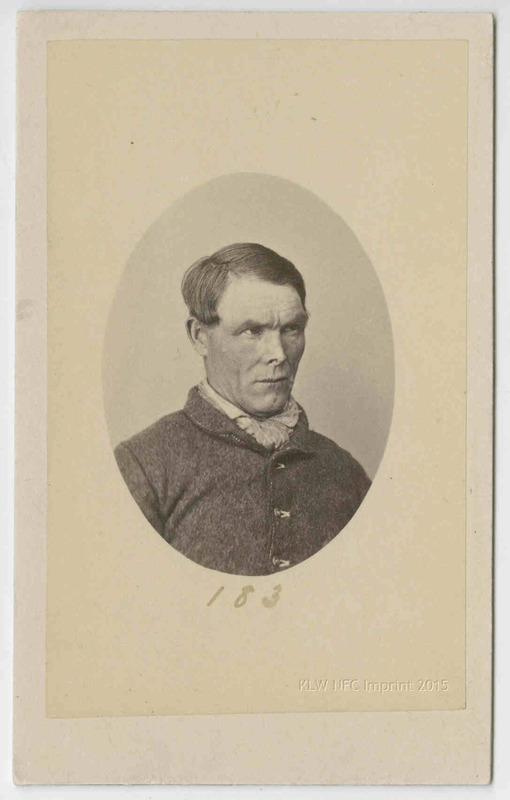 Aged 22 in 1877, Joshua Anson was finally arrested after years of suspicions held by Baily, and imprisoned for two years. Chief Justice Francis Smith stated in his summary that the seriousness and scale of the theft warranted a sentence of 14 years, and leniency was granted only on account of Anson’s youth. Anson’s plea was to be kept apart from the prisoners on incarceration, because he felt he was above them, though the jury did not agree. The Joshua Anson trial, reported in The Mercury, June 9th 1877. 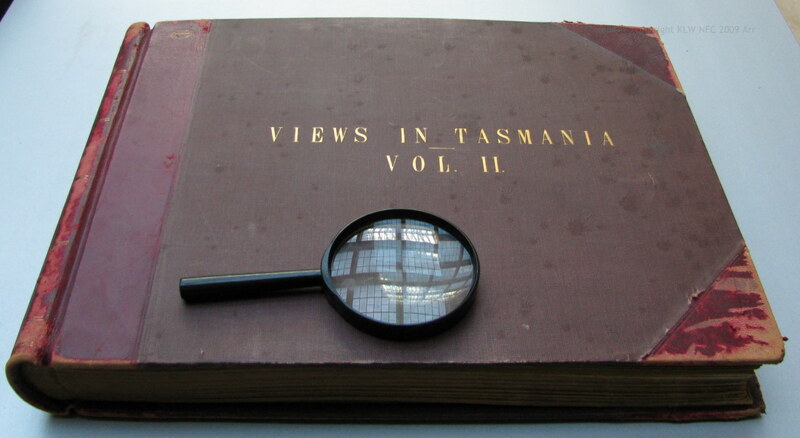 The goods stolen were valued at 180 pounds, though their real value was much greater, and included large quantities of glass, negatives, boxes, lenses, mounts, chemicals, and albums by Baily called “Souvenirs of Tasmania.” Samuel Clifford who was called as a witness identified several of his stereographs and albums among those which he said he had sold to Anson, and which Anson had reprinted as his own, an offense which the court noted as fraudulent pretensions. The Joshua Anson trial, reported in The Mercury, July 11th 1877. 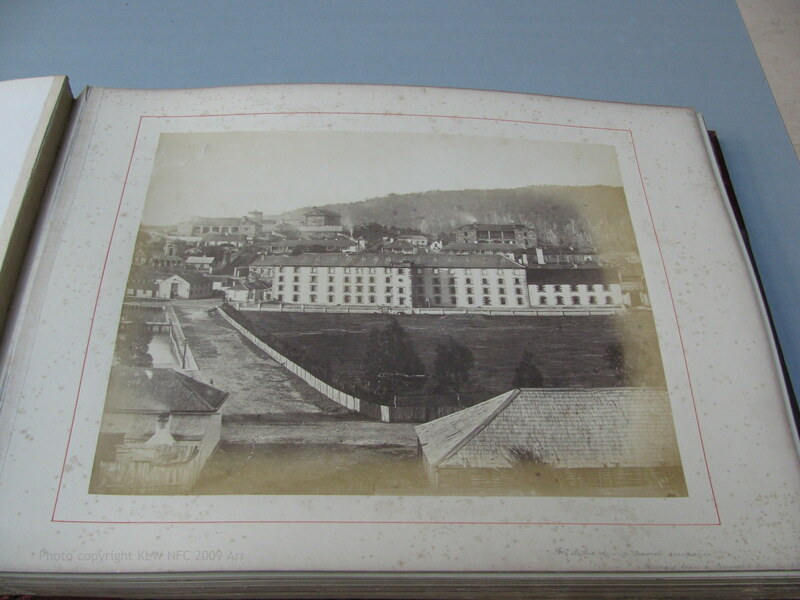 There is ONE print, an enlargement of a (supposed) stereograph held at the Mitchell Library, SLNSW, which the curator of photographs maintains is evidence of Boyd’s photographic talent, but which is not even noted as an image by Boyd in the SLNSW’s catalogue entry for the album in which it appears, evidenced by this webshot. 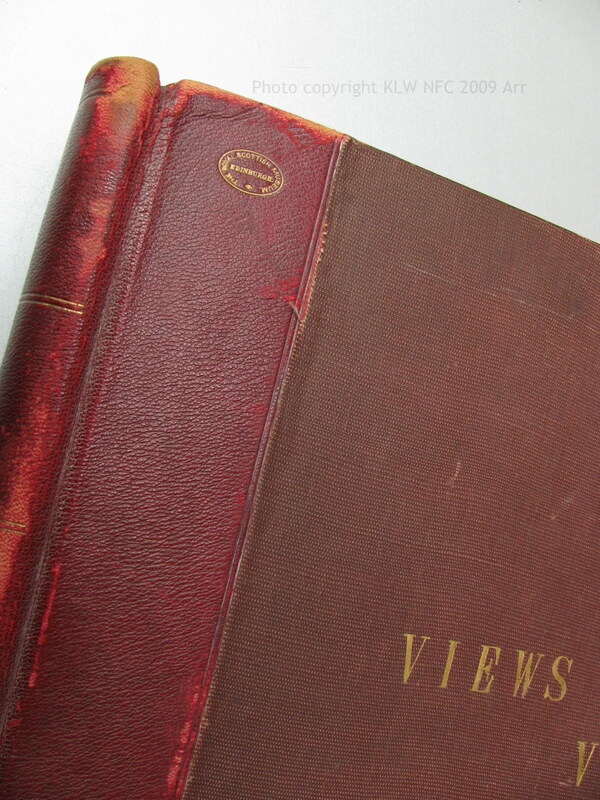 The album itself was bound in red leather by the Royal Museum Scotland, donated by Capt W.J.F. Fuller in 1946, and accessioned by the State Library of NSW in 1964. 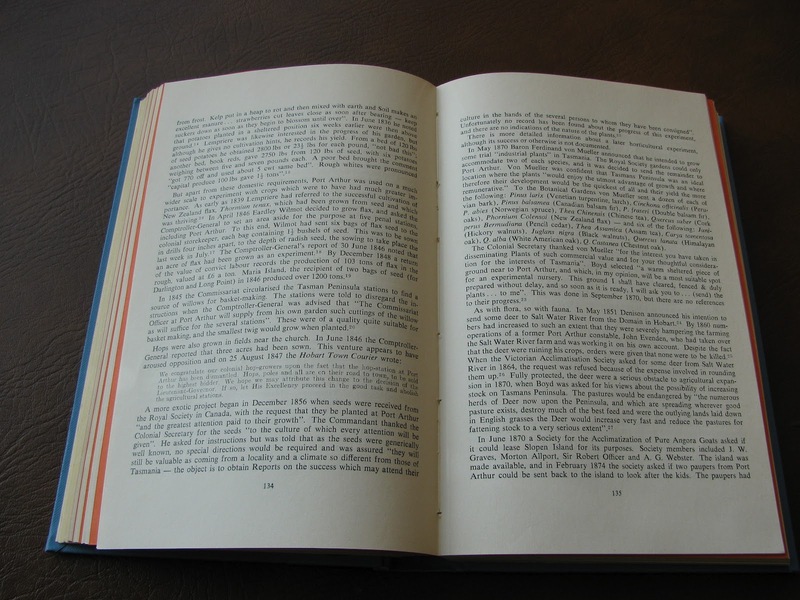 None of the other prints in this album, Vol. 2, has a similar note or inscription. The note about Boyd is so indistinct, not even a magnifying glass renders it visible, e.g. (b) glass plates listed as cargo for Port Arthur in 1873. Fraudulent pretensions beget fraudulent pretensions, it seems. 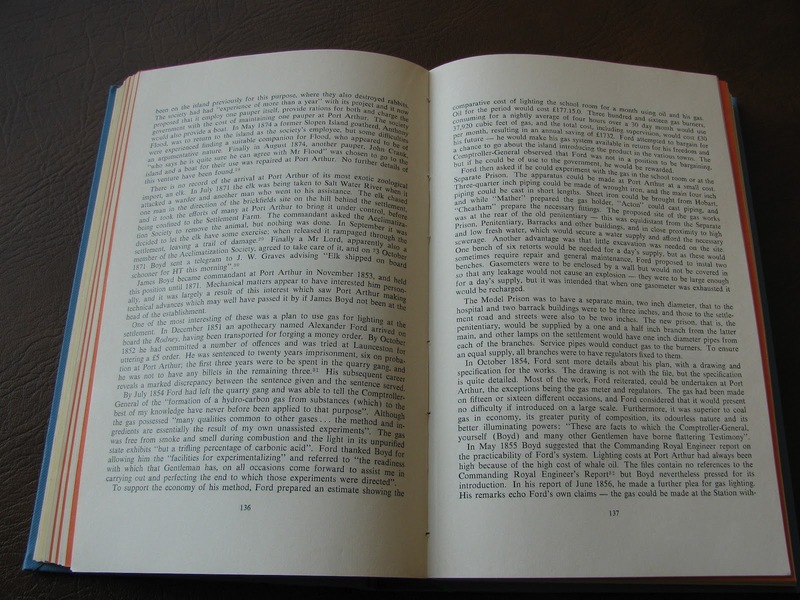 Or the case may be that the Boyd apologists have mistaken his ownership of a print for his authorship. 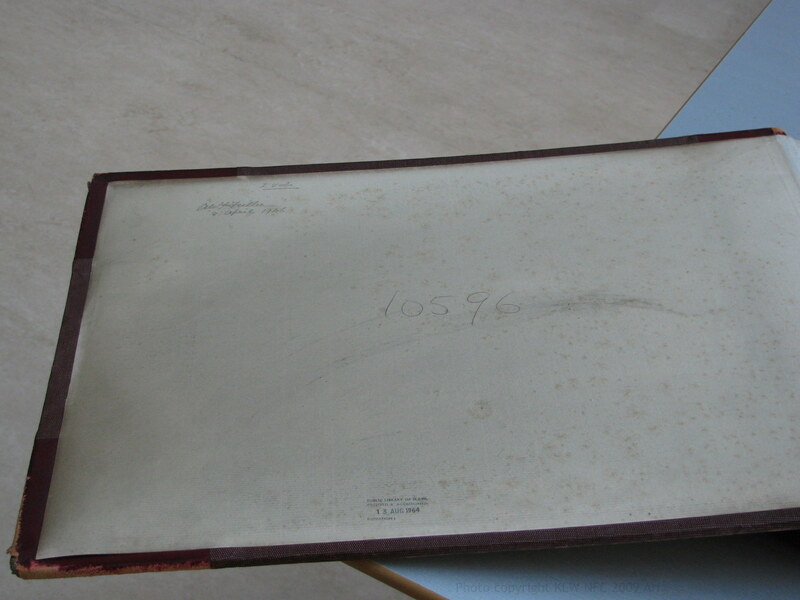 The SLNSW holds another document with Boyd’s name scribbled on the cover, a legal document by Rocher on prison discipline which Boyd kept in his office. The glass negatives from London retrieved by Baily in January 1875 were the same photographic glass plates which were listed as cargo destined for government stores at Port Arthur in July 1873, but they were never shipped because they were not government property. They were seized by Customs until Baily paid the tariff in January 1875. The prisoners at Port Arthur were not photographed by someone using this cargo of plates, and they were never photographed by Boyd for official purposes and for any other purpose because (a) he was not a photographer, (b) the plates never arrived at Port Arthur in July 1873 (c) the Hobart Gaol was the central depot where all men with second and serious offenses were received, bathed, shaved and dressed in the prison uniform and photographed, from all regions in the island. A further shipment in 1873 DID arrive. 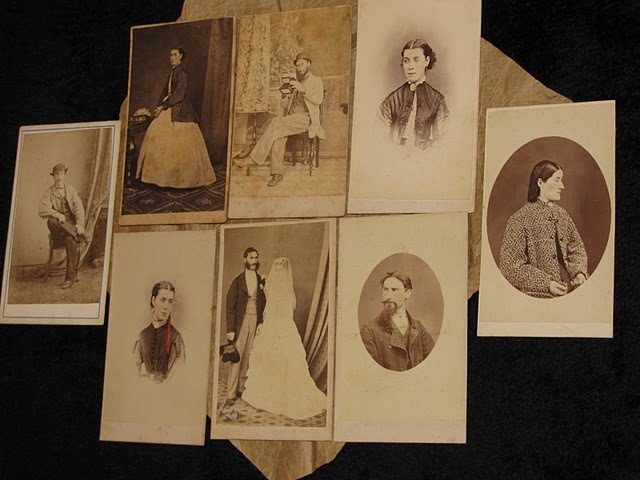 In August 1873 a small case of photographs arrived at Port Arthur which were duplicates from Nevin’s negatives of prisoners at the Hobart Gaol, together with details of the prisoners’ records held in the central registry of the Police Office at the Hobart Town Hall. 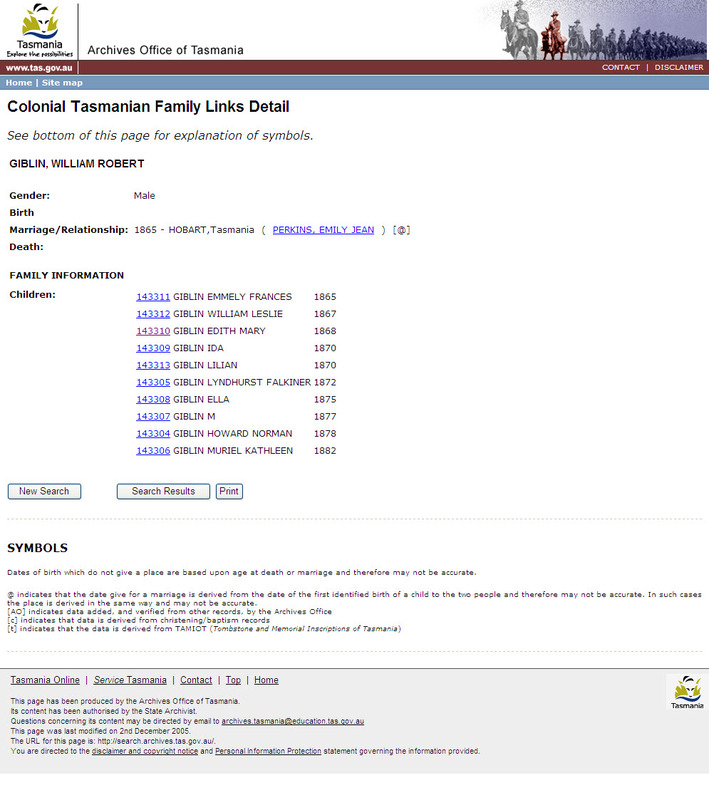 The purpose was to check convicts’ shipping records with current records held in Hobart for aliases. Many of the men photographed by Nevin gave him an alias. 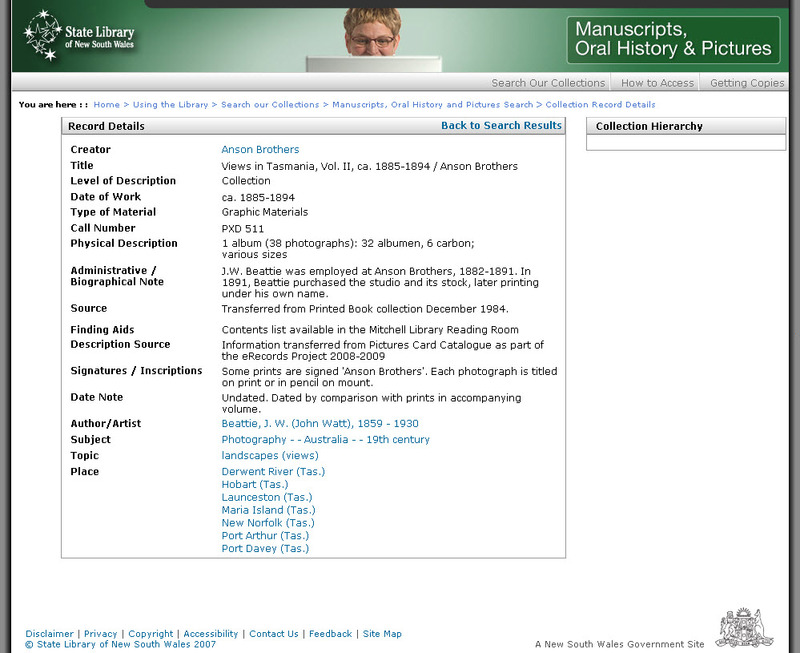 One notable example of at least 40 aliases among those pictured in these extant cartes was William Campbell. Nevin accompanied Campbell back to Port Arthur on 8th May 1874 to correlate the police data with the convict transportation records. Campbell was hanged a year later as Job Smith. His other alias was Brodie (see Way Bill below). Henry Hall Baily eventually used the plates retrieved from Customs to photograph his series of notable administrators, including Governor Weld, and prominent businessmen in Tasmania. He submitted more than 100 photographs to exhibitions in Melbourne and Philadelphia. PHILADELPHIA EXHIBITION. – There are now ready for shipment some further exhibits of our most valuable wools, which have come in since the 23 boxes and two bales were despatched per last Southern Cross. These consist of six fleeces of pure merino wool, hot water washed, from Mr Page, of Ellenthorpe Hall, and three fleeces of pure stud merino rams from the Hon. Donald Cameron, of Forde, which are valued by the owner at £150,and £80 respectively. These, with eight fleeces from Mr. George Taylor, of Milford, have all been presented by the exhibitors to the Museum of the Academy of Natural Sciences in Philadelphia, to which also has been presented, by the Municipal Council of Hobart Town, the large frame of photographs of the public buildings of the city, the large map of Tasmania, and also the bismuth iron and tin ores which received prizes in Melbourne at the recent successful exhibition there. Mr. H. H. Baily’s books of Tasmanian views and portraits which received a prize, have been returned to the secretary in this colony, with a request that some of the plates which have been damaged by the inspection of the 240,000 visitors to the exhibition might he replaced by clean plates–a request which Mr. Baily has at once expressed his plesaure to accede to. 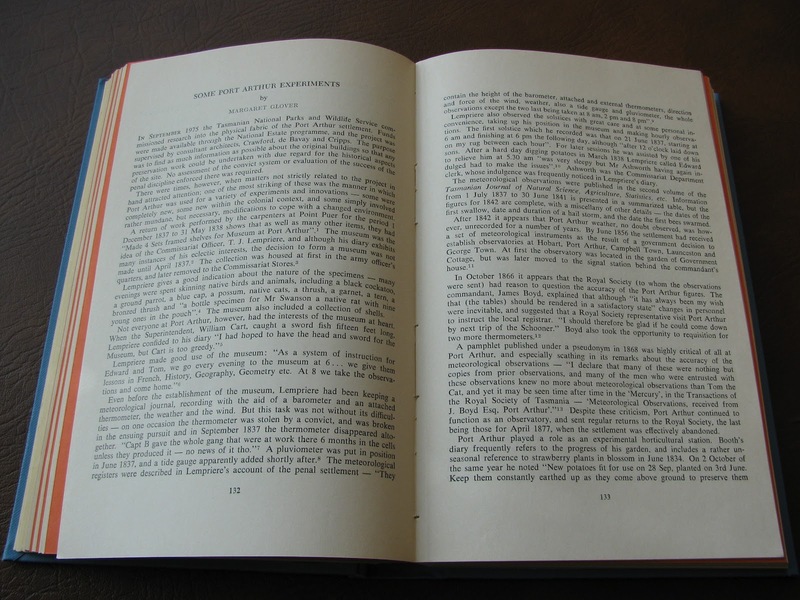 The first photographic picture in the book is that of His Excellency Mr. Weld, C.M.G., in his gubernatorial uniform; and amongst the hundred other portraits are those of many of our best respected citizens and their beautiful children ‘of all ages, the last few pages being occupied with portraits of the American officers who were on ‘scientific duty in the Swatara, and who had made themselves so very popular in this colony. Photographs of the Exhibition Halls and exhibits were commissioned. See this excerpt from the Philadelphia Centennial Exhibition homepage for an overview. 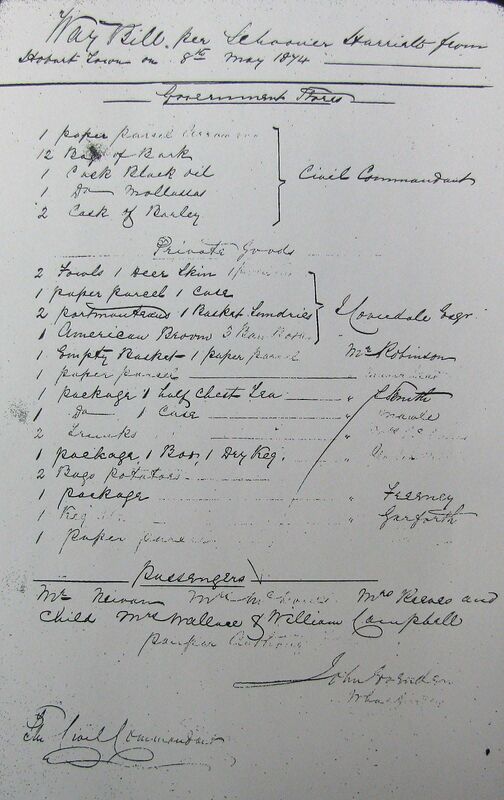 Expenses incurred by the case of photographic glass arriving from London under false orders by Anson which Baily retrieved from Customs in January 1875 were eventually underwritten by both the Municipal Council of Hobart and the Colonial Secretary, but the case sent to Port Arthur does not appear to be associated with any official document apart from a simple ship’s cargo list. Just as Baily’s public work received official support and funding, Nevin’s early police photography from his first prisoner photographs 1871, acceptance of his first tender in 1872, and contracts from early 1873 were funded on commission to the Municipal Police Office and City Corporation, undersigned by the Colonial Government and Attorney-General Giblin. His appointment in 1876 as Keeper at the Hobart Town Hall, which housed the Police Office, consolidated the confidence of Attorney-General Giblin and Inspector of Police John Swan. 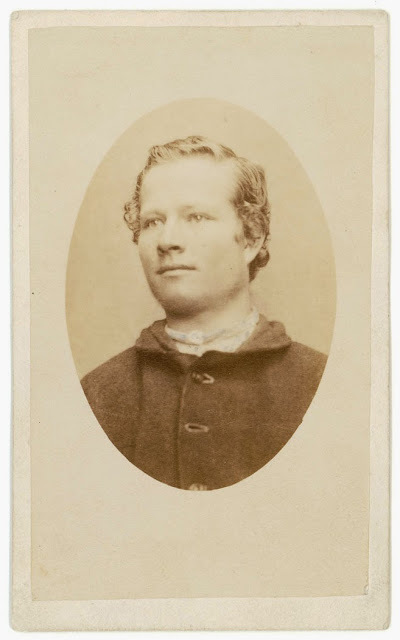 His brother Constable John Nevin assumed a central role in the photographic activities at the Hobart Gaol from 1876 through to the mid 1880s. 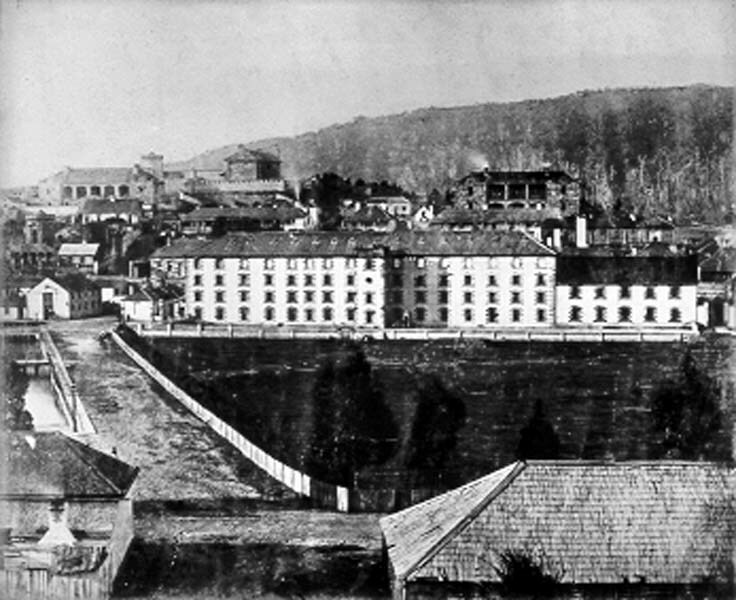 In almost every instance, the prisoners whose photographs survive today were photographed at the Supreme Court trials and adjoining Hobart Gaol BEFORE they were sent back to Port Arthur, if indeed they had ever been imprisoned there on being transported before 1853, if that was their fate. And photographed again at the Town Hall Police Office on their discharge on various conditions (CP, FS, Free etc) between 1874-1884. A few were possibly photographed at Port Arthur ca. 1870. Nevin’s visits to the site on police business became more frequent from May 1874 when Dr Coverdale accelerated the transfer of the criminal class of inmate to Hobart prisons and for reassignment. Many of these transferees, 109 in all, re-offended on a regular basis, and were photographed again by Nevin on arrest (the booking photograph), sentencing at trial and arraignment (the classic mug shot) and release (those men who smiled for the shot!) A few of his cartes survive of men who were hanged: Job Smith, James Sutherland and Henry Stock (NLA, TMAG; SLNSW C203, Death Warrants VDL). but who was hanged as Job Smith at the Hobart Gaol, May 1875. 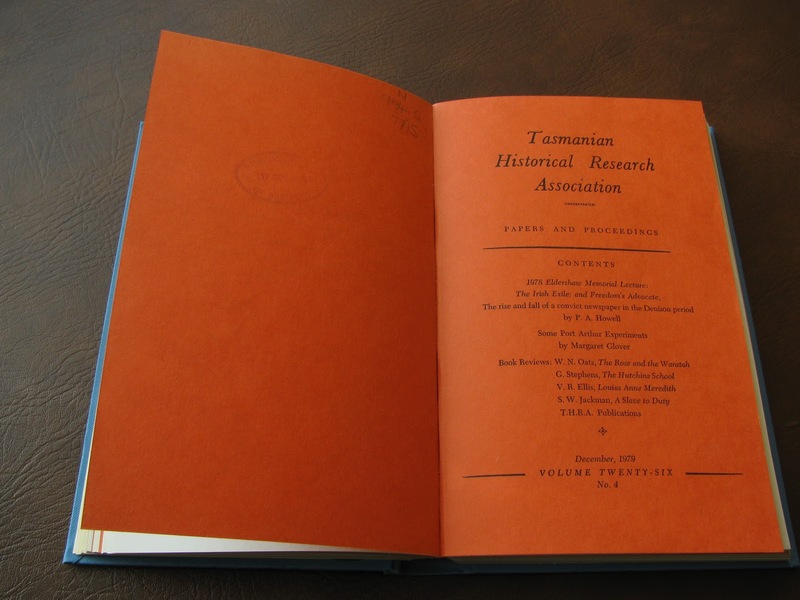 Source: Mitchell Library SLNSW, Tasmanian Papers Ref: 320. Thomas Nevin’s busiest years working with the Municipal and Territorial Police in Hobart prisons and at the Town Hall Police Office were 1872-1884. A.H. Boyd’s name, by contrast, disappears abruptly from the police gazettes after February 1873, and up to that date only in relation to his signature undersigning the transfer of paupers from the Port Arthur site to invalids depots and asylums in Hobart (Tasmania Reports of Crime Information for Police 1871-1875. J. Barnard Gov’t Printer).